If you’ve recently gotten into trap shooting, or you’ve been doing it for a while but need a new spot, where do you go to find a good trap shooting club? Where Can I Find Trap Shooting Clubs? Do Trap Shooting Clubs Require a Membership? Are Trap Shooting Clubs Affiliated with the NRA? 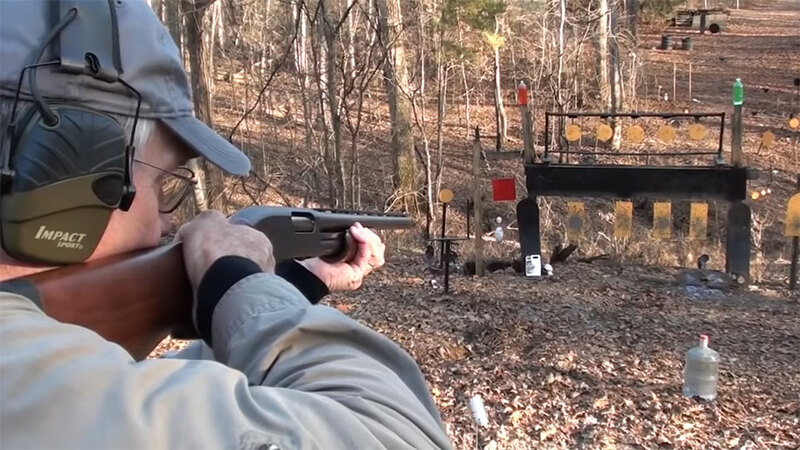 How Can I Find Out if Trap Shooting Clubs Information is Accurate? 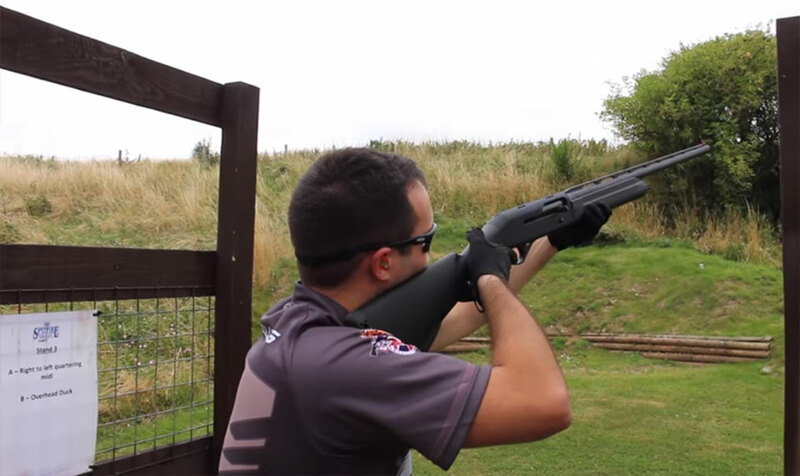 What Should I Look for in Trap Shooting Clubs? The answer might not be as obvious as you first thought. With the rise of social media, clubs of any kind are on the decline and not attracting as many people. Fortunately, trap shooting clubs bring together people who have to be out in the real world to enjoy their activity. Let’s find out how you can find the best trap shooting clubs near you! To start, the best way to find trap shooting clubs near you is also the best way to find anything near you: the internet. Obviously, we just spent a moment talking about the advantages of the real world and hobbies that don’t involve being glued to your phone for hours on end. However, finding people with the same hobbies as you will be easier if you have a connection to the rest of the world while online. Most likely, trap shooting clubs are going to be located away from major cities. You’re probably going to have the best luck finding a club in areas closer to the woods and away from major chunks of civilization. If you do live in a bigger city, there could be some trap shooting clubs in the suburban sections of major metropolitan areas. Many trap shooting clubs have been around for quite a while. You’ll find them in older buildings that may look sketchy despite having modern safety conventions and an up to date staff who understand all current laws and regulations. Don’t be deterred by the facility if it doesn’t look like the latest coffeehouse or hookah lounge. Some of the nicest and most helpful people you can meet work in trap shooting clubs, and all you have to do is know where to look. 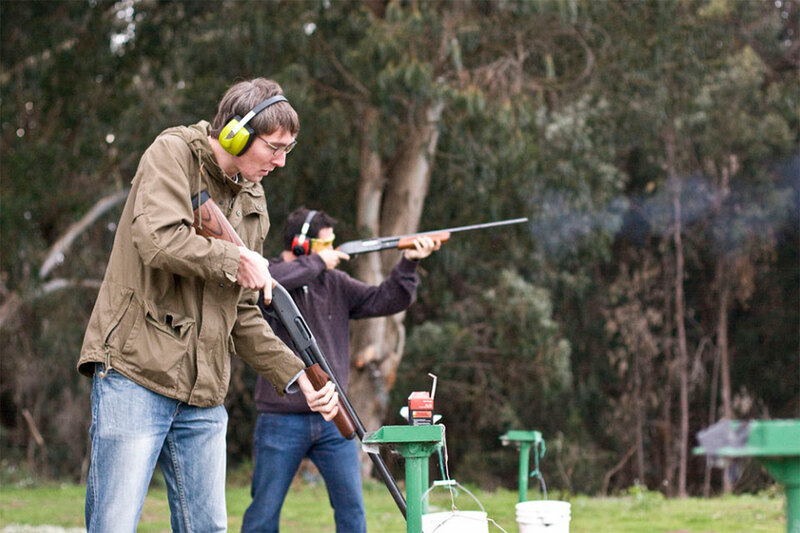 Depending on the location, certain trap shooting clubs may require you to become a member to enjoy their facilities. When you find a location you are interested in attending, check out their website or call them to find out what their rules are regarding memberships. Like a gym or community center, you may be able to purchase a one-day pass to use the ranges at trap shooting clubs. If this is the case, a daily pass will most likely cost more than the same amount of time included in a membership. Most of the time, memberships for trap shooting clubs are given yearly or monthly. The cost of a membership can usually be found on the club’s website. Make sure you check how often their website is updated in case the rates have changed. The National Rifle Association maintains a group of members known as the NRA Range Technical Team. 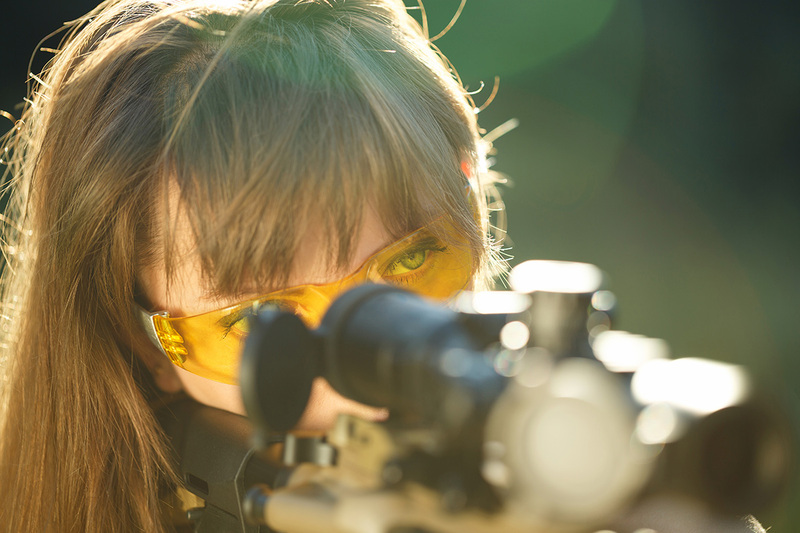 These skilled volunteers are trained in shooting range development, operations, and design. While the NRA does not certify or approve different shooting ranges, they can give on-site reviews to give feedback on the function and appeal of trap shooting clubs. NRA Range Services are not capable of directly providing designs for future trap shooting clubs. What they can do is provide resources from their literature in case you or someone interested in opening a trap shooting club needs access to ideas. Along with the source book, NRA Range Services offers safety equipment and certified instructor outfits for sale. Certain websites are available to help maintain current and accurate information on trap shooting clubs throughout the country. You can search databases to find locations nearest to you, what their rates are for membership, and how often they accept new members. If a site isn’t mentioned, or if their information is out of date, it might be due to nobody local to the club submitting new information. Websites such as ClayTargetsOnline rely on users to submit information about all of their local clubs. Those in charge of the website are unable to reach out to individual club owners without the necessary contact information. You can also find reviews of trap shooting clubs online. This information is also subject to approval by the review website, and you should take all reviews with a grain of salt when you haven’t been to a location yourself. 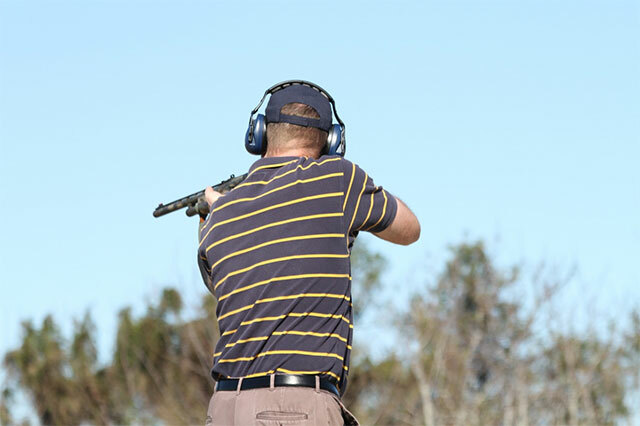 Reviews are not often moderated, and in the case of trap shooting clubs, a bad experience with equipment or one individual staff member can lead to a one-star review. When planning a trip to a trap shooting club, there are a number of different options to consider. Consider how many different ranges are available, and how many different types of guns are able to be shot at a given club. Club details on simple things like hours of operation and whether it is closed to the public should be displayed within a few clicks of accessing the website. From there, you should think about how long you intend to be at trap shooting clubs on given days. This is much more important than it might occur to you at first. How big is a trap shooting club? If you go to an area that is incredibly popular, you might find yourself waiting in a line for a while before you get the chance to shoot. Take this into consideration if you live in a smaller town, as you might be able to figure out the best time for avoiding the crowds. Are you planning to make an entire day out of your trips to trap shooting clubs? If that’s the case, you’ll need to find out if the facility serves food. The last thing you want to do with a gun is shoot on an empty stomach. You’ll lose focus and possibly even endanger others if you feel too exhausted to continue without a good meal. Check the club’s website to determine what kind of food you can order while at the club. If there isn’t anything available after a full day, you might want to think about packing a meal to take with you. Certain trap shooting clubs are officially partnered with the National Shooting Sports Foundation, better known as the NSSF. This organization was founded in 1961 to encourage suicide prevention, gun safety, and wildfire prevention. The NSSF exists to help develop target shooting facilities, including trap shooting clubs. They offer information, partnerships between different ranges across the country, and community outreach programs. If a range is interested in earning five stars from the NSSF, they have to demonstrate excellence in all subareas of operations and management. As of August 2018, there are a total of 33 ranges throughout the United States with five-star ratings. No matter what type of gun range you attend, whether it’s at trap shooting clubs or an open range, you must remember to exercise caution wherever you go. There are certain rules that take priority, and we’re going to share a few of them in this section. This is rule one for anyone who has handled a gun in their life. Keep the muzzle pointed in a safe direction, whether it’s down or away from anyone in the immediate vicinity. Never point your gun at anything you don’t intend to shoot, including yourself. The safest direction to point a gun is always the direction away from anything else, even if this means the sky. Despite the fact that guns come equipped with safety locks, you need to remember the potential for human error. Safeties, unfortunately, can malfunction, and every gun should be treated as if it could be fired at any given moment. If you dislodge your gun from a holster and it strikes an object or the ground hard enough, it’s entirely possible for it to discharge a shot. You don’t even need to touch the trigger for this to happen. Therefore, when you aren’t using it, just keep the gun unloaded. After finding a great spot, it’s time to actually venture out to a trap shooting club. Make sure you understand the location’s hours and take into account any major holidays that might interfere with the schedule. Trap shooting clubs can often be found in mountainous areas, which see some harsh weather in the winter time. Even if you have a vehicle that can navigate a blizzard and you’re firmly committed to getting some practice in, remember that trap shooting clubs are private business. They can close any time, weather-related or not. The most important thing you can do is to have fun while at trap shooting clubs. As long as you play it safe, you’ll run into people just like you, and it makes for a fun family trip as well!